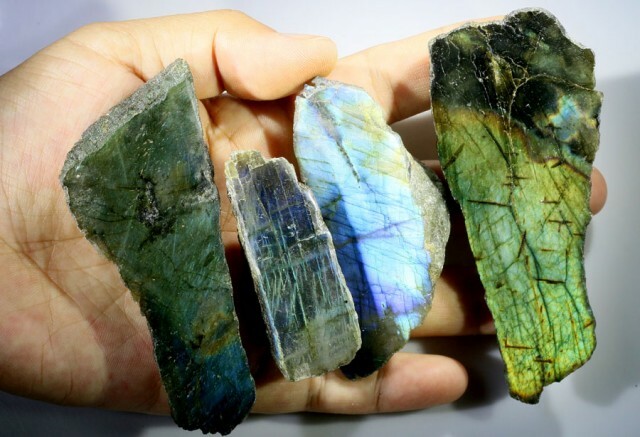 This is a natural labradorite rough slab parcel ready for cutting. 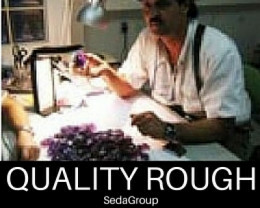 One side has been part polished so you have the option to polish it as one piece or cut it into smaller stones. 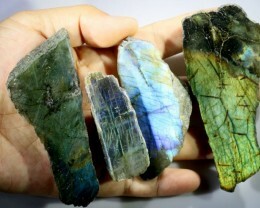 Stunning colours. 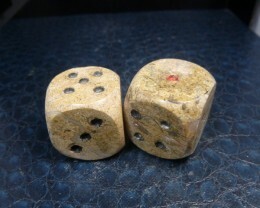 The size is for the largest piece and the weight is for the parcel. 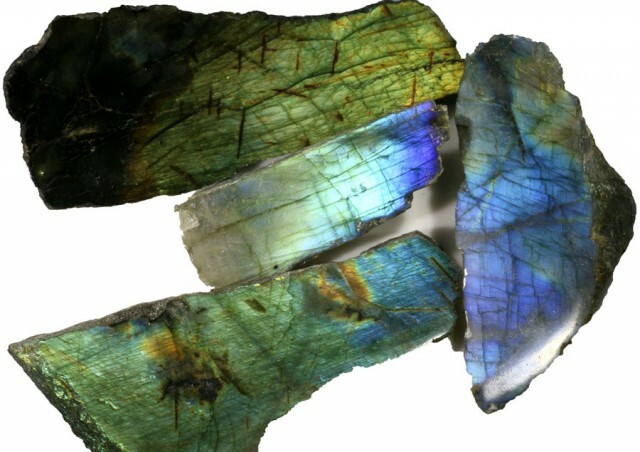 Labradorite is truly a fascinatingly beautiful mineral which reminds me of black opal. 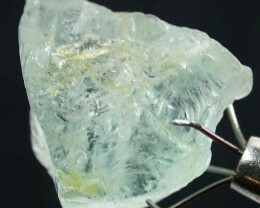 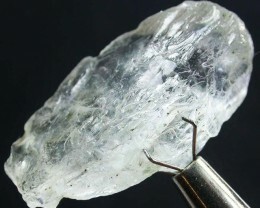 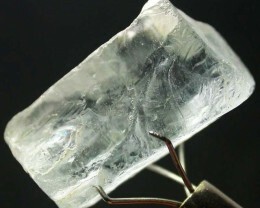 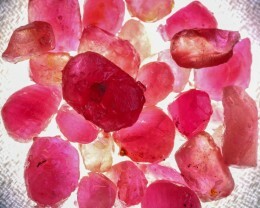 Its a mineral whose charm is not fully noticed and may be overlooked if not viewed from the proper position. 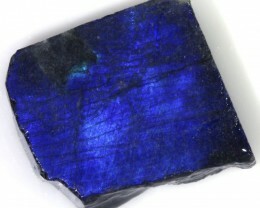 Generally a dull, dark looking mineral with no special virtue until the colorful shiller is observed glowing on the surface. 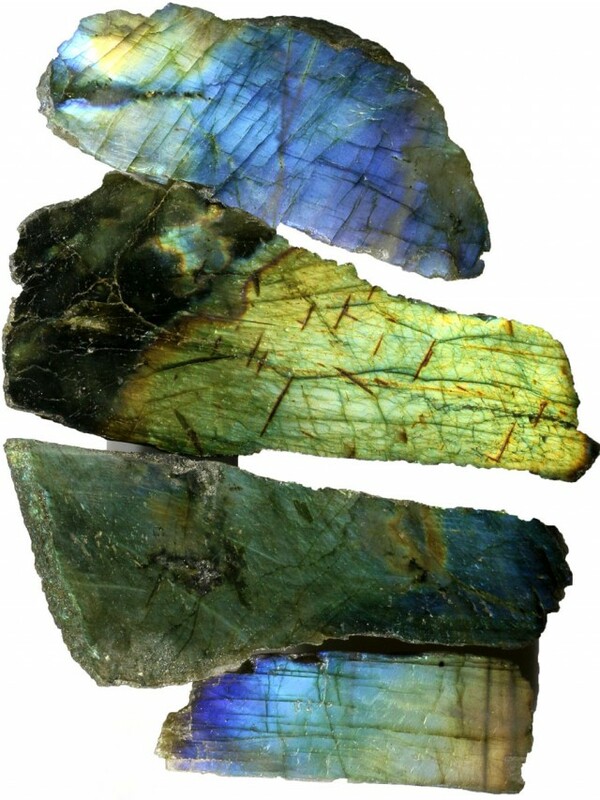 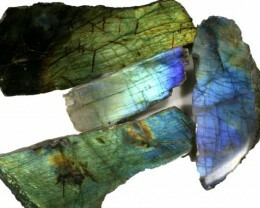 Labradorite can produce a colorful play of light across cleavage planes and in sliced sections called labradorescence. 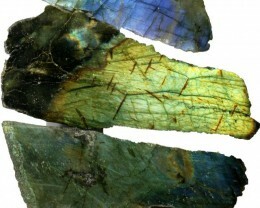 The usually intense colors range from the typical blues and violets through greens, yellows and oranges. 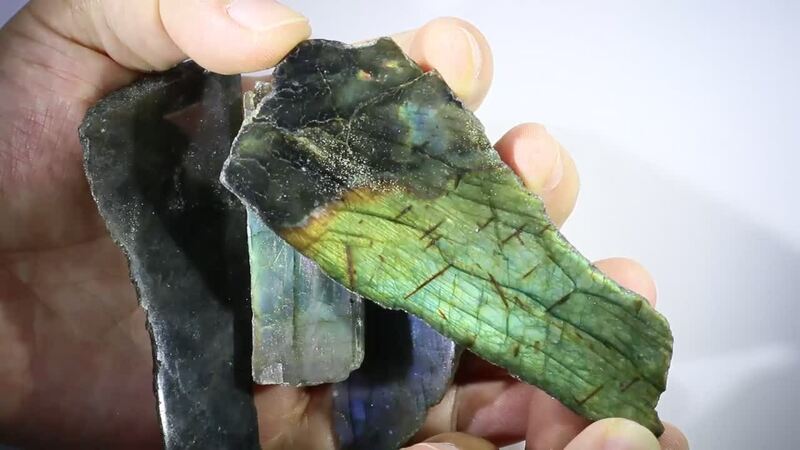 Some rare specimens display all these colors simultaneously.